The Go Fund Me page currently sits at $1,725 of a $10,000 goal, leaving a large fundraising gap to go. Senior and President of the SNHU Club Hockey team, Travis Tanguay, fears not being able to be a part of the team that he and a lot of other people feel is a major part of their lives. 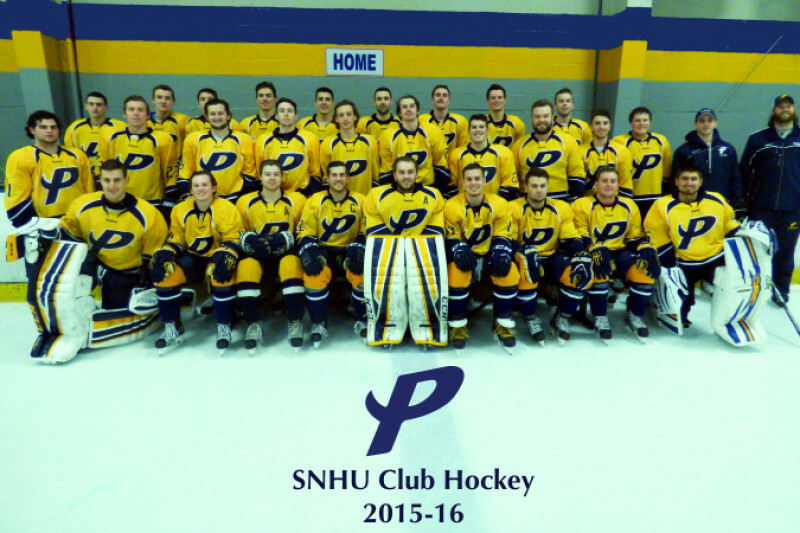 Tanguay does not want to consider Club Hockey as non-existent at SNHU. In an effort to keep the team alive, Tanguay said the team is currently exploring a number of fundraising activities including 50/50 raffles, bake sales and a potential event in cooperation with Munchiez food truck. The team has also purchased 500 SNHU Club Hockey bracelets which are available for $2 each. Anyone interested can contact Tanguay or John Camara by email at travis.tanguay@snhu.edu and john.camara@snhu.edu for more information about buying a team bracelet. All proceeds from the bracelets will go towards supporting SNHU Club Hockey. 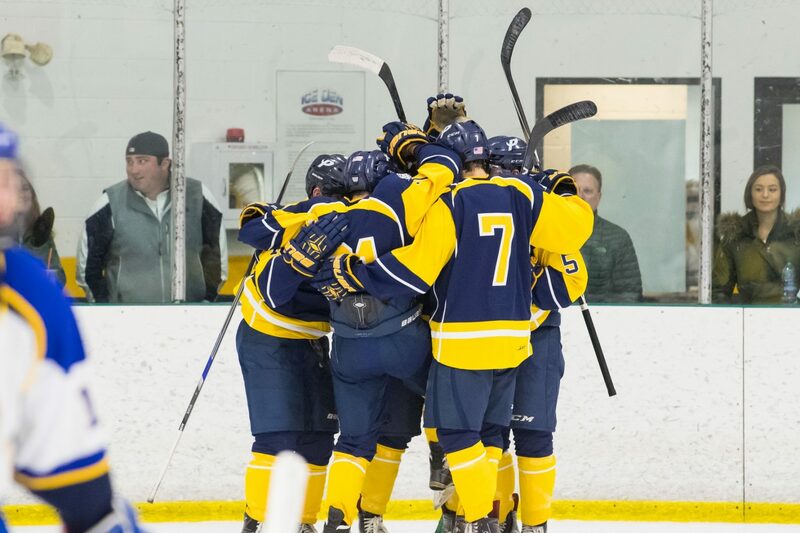 As with any organization on campus, the SNHU Club Hockey team is partially funded by SNHU’s Student Government, but given the large costs of league dues, referee fees and ice time (nearly $40,000 alone last year), a large portion of the team’s funding is provided by players. SNHU Club Hockey began six years ago. At the time, the team was small and only participated in a couple practices and games. 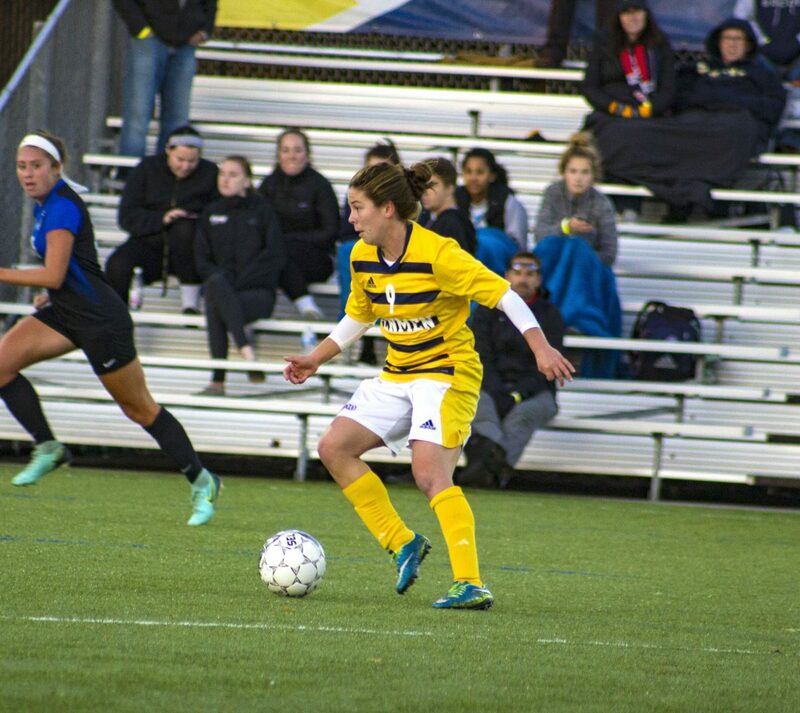 Now, however, the team has grown substantially in size and has 30 regular season games with playoffs and the chance of making regionals, which they have done the past three years. Tanguay, who’s entering his fourth season as a defenseman for the team, described Club Hockey as an opportunity above all else. “A lot of our members are students who didn’t look to play hockey in college, who played growing up and took a chance to try out and make the team,” he said. Club Hockey is also a way for SNHU students to reach out to other schools on behalf of the campus. “In our league, we play Harvard, Bates, St. A’s, Dartmouth College and in the past, we’ve played Roger Williams, Bridgewater, UMaine, UCONN, UNH, Merrimack,” said Tanguay. 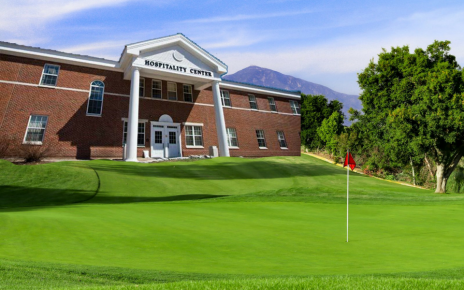 The team competes against many schools, a lot of which are NCAA Division I. The Club Hockey team hopes that the generosity of the SNHU Community will enable them to continue pursuing their love for hockey, their team and their university. Every little bit counts in keeping these boys out on the ice.